Driving competitive advantage through sustainability. Customers are looking for organisations that believe in helping reduce global waste and are committed to doing their part in reducing the effects of climate change. Customers will begin to drive the change through the disruption of profits of polluters as they look for authentic purpose-driven brands to partner with in disrupted times. As climate change shows itself in our daily lives more and more, the 4th industrial revolution will take hold. The disruption to current business models and ways of working will be immense. And the opportunity even bigger. 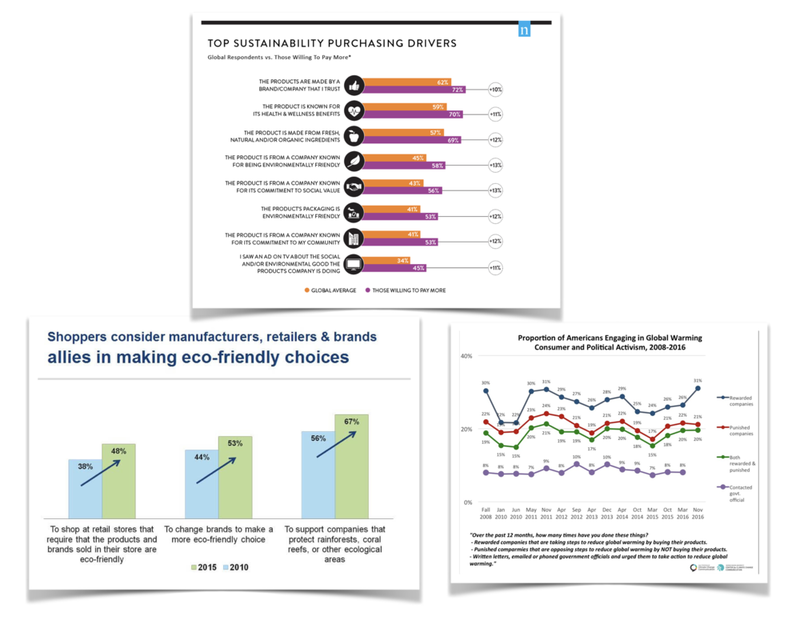 Sustainability and the environment are high on consumers’ agenda, Mintel research finds (Mintel Consumer Trends 2018), and perceived polluters will be forced to change their operations. More and more brands will offer education and leadership with clean, safe and sustainable products that distinguish them from the competition. Many brands are being forced into change - Coca-Cola has had to raise its 2020 recycling target to 50% because of consumer pressure. Driving the 4Rs (Refuse, Reduce, Reuse,, Recycle) for organisations through an innovative waste profiling process. 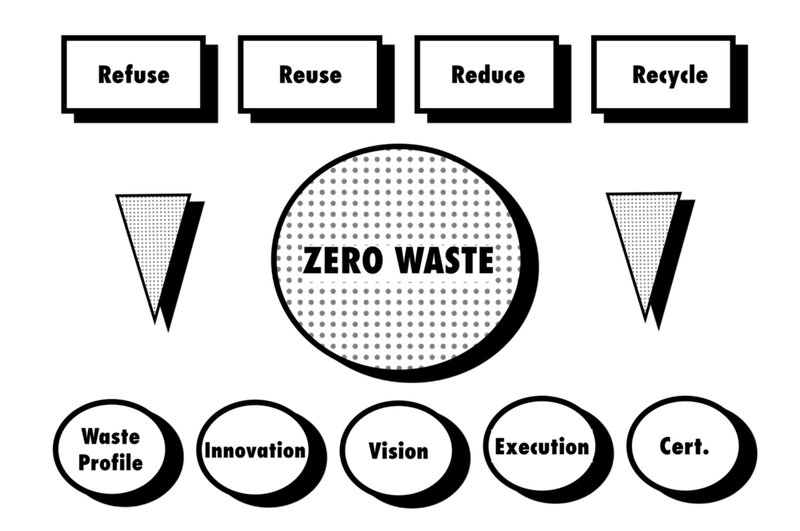 The Zero Waste process uses a deep waste analysis of business waste journeys to pin point waste solutions and execute waste reducing projects. The aim is to increase recycle rates, reduce landfill and incineration rate, and drive circularisation. The outcome of the process is a Towards Zero Waste Certification. The JOURNEY Towards Zero Waste Certification. Sustainability is a journey on which all UK businesses need to set off on. The TGB Certification recognises that most businesses will need time and support to become Zero Wasters. The TGB Certification is comprised of 3 steps - each created to support the business as it makes the necessary changes on its journey towards zero waste. Certification will drive cost savings, increase sales and improve brand reputation. Consumers are looking for local businesses that believe in helping reduce local waste and are committed to doing their part in reducing the effects of climate change. The Towards Zero Waste Certification sets the standards for UK organisations around waste management and allows consumers to identify the businesses that share their values around sustainability. Towards Zero Waste is delivered in partnership with TGB. TGB is a sustainability consultancy that uses the power of local communities to build innovative solutions to waste, in order to accelerate the move to a circular economy.